So, let's talk Pest Control! As lovely as it is to live here, you didn't come to this website to chat about how cool Mesquite NV is. You came here because you need some help eliminating your pests. You've come to the right place. 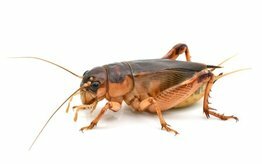 Pest Control Mesquite NV is dedicated to making sure your home, business, or property is completely bug, rodent, and pest free! 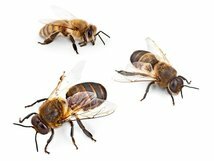 You've got dozens of choices for Mesquite exterminators, so why should you chose us? Our Scorpion Free Guarantee is included in our basic service package. Shop around and you'll see for yourself that our competition charges extra for this service. 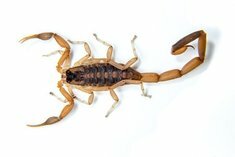 Scorpions are such a common pest in Mesquite that we feel that it should be part of a regular service package. And with us, it is. Plus, it's 100% guaranteed which means if you see a scorpion after our initial visit, we'll come back free of charge and take care of them. It's not just scorpions that we guarantee! Your satisfaction is guaranteed no matter which pest we are dealing with. Just like our Scorpion Free Guarantee, if you see any pests at all between visits, we'll return and take care of it. But, to be honest, we do the job right up front, so we sincerely doubt you'll need us to return. Customer service is our #1 priority. Everyone says that, right? But here's what we think it means: Your home or business is a huge investment, so we are helping to protect it, not just spraying for bugs. It means that our technicians will be friendly and well trained. We'll take the time to answer your questions, walk you through our unbeatable process, and help you feel at ease with everything we do. You can also see for yourself by checking out our reviews here. If letters after your name make something official, we're definitely legit! Not only are we I.P.M. compliant, but we are certified by the U.S. Department of Agriculture. See. Official. The products we use are top of the line. We don't cut corners, which means your pests will be gone more quickly and will stay gone longer. 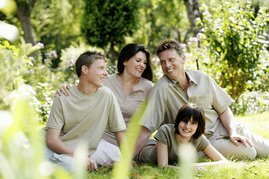 When you sign up with Pest Control Mesquite NV you will be saving money immediately and down the road. Call today to see how much money we will save you. Are you a resident of Mesquite, Nevada? If the answer is yes, then we don't need to tell you what a beautiful place it is to live. In 1880, when it was discovered, it was known as Mesquite Flat. At that time there wasn't much to see or do. Not so today! Like to golf? How about a half dozen world class courses right here in the desert oasis. Is it just us or do scorpions just look plain...wrong?! You know what may be even more wrong? Not including scorpion control in your basic service agreement. Don't worry, PCMV only believes in doing things right, which means our basic service agreement includes scorpions. Living in the desert means living in scorpion territory so we feel it only makes sense to include it in our basic coverage. And not only do we cover scorpions in our basic service package, but we also guarantee our work! That's right, after we come out initially if you see these 8-legged arachnids at all, we'll come back out to your property at no additional charge and take care of them. I have recommended PCLV Service to a new neighbor and others who have asked me about Pest Control Service. Most of all, they are timely and that is important for those that want to be there when service is done! We have been using PCLV Pest Control for since they started, I believe, and they have been very helpful and pleasant to work with. They do a good job, and are willing to come back if we have any problems. That is a good business practice in my book. "We are very excited for the services we have received." ...see what our other happy clients have to say. We believe in delivering the highest quality product and the best customer service. Period. If you don't do something right the first time, you are bound to have to do it over again. That's true in so many life circumstances, and it is especially true in pest control. If you hire a professional that doesn't do the job right from the get go, you will end up with the headache of having them come back again and again. And chances are, they are going to charge you for each return visit. Not only that but during that wasted time, those pests are still in your home possibly causing more damage with each passing day. When you hire Pest Control Mesquite NV, you are hiring a pest control service company that will not only save you money by doing the job right the first time, but you are also hiring a company that is constantly training its professionals to be the most highly educated technicians in the field. We're fast, friendly, and economic. Give us a call today at (702) 466-1155 or fill out the form on this page for a fast, FREE consultation. We'll schedule a time to meet with you to go over how we do things, our basic service agreement, and answer any questions or concerns you have. Because your home is your biggest investment, we understand that you would do anything to protect it. So would we. Pest Control Mesquite NV is committed to providing you with the finest residential pest control services you can find in Mesquite Nevada. We'll come to your residence and put down a protective barrier around your property that is sure to keep the pests out. We return regularly to make sure that barrier remains intact. Whether you own the business or just work there, having pests at the office is unsettling to say the least. Your pest control experts at PCMV are ready to make sure your workplace remains a well oiled machine. That means no bugs, critters, or pests! Your company likely has a marketing department, H.R. department, or sales team so why not have your very own commercial pest control team? When you hire us that is what it will feel like. We'll be ready at a moment's notice to take care of your business' pest control needs. 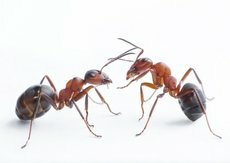 Ants, Spiders, Cockroaches, Wasps, Crickets, Cicadas, Scorpions, are all included in our basic service package. But sometimes you might have a pest that necessitates a more specialized plan of attack. 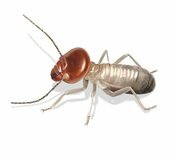 PCMV is trained and equipped to handle other pests like: Bed Bugs, Termites, German Cockroaches, Bee Removal, and Rodents. Call us at (702) 466-1155 or fill out the page on this form now to find out how we can take care of any pest! So what do you get with Pest Control Mesquite NV? Our regular service agreement is unparalleled in Las Vegas and Mesquite. You've already read that scorpion control is included in our regular service, but we're ready to take care of any number of pests. When you join our happy clients you'll receive regular service for ants, wasps, spiders, cockroaches, crickets, scorpions, and a plethora of other pests. Some pest services - like bed bug control, bee removal, rodent control, and termite infestations - require a bit more attention and so they also require a higher fee to take care of. But you will be pleasantly surprised at how affordable it is. Ants, ants everywhere and PCMV will take care of them. We will relocate bee hives responsibly. No need to be embarrassed, it happens to the best of us. We can tackle all kinds of roaches, including German Cockroaches. One word...noisy! Let us help silence them for you. We'll exterminate these furry pests. 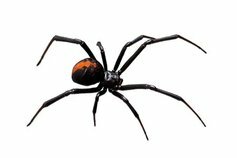 We can deal with these 8-legged pests. Yup. They can be found in the desert too! No, but really...Mesquite NV is amazing! Las Vegas is always fun, and if you live in Mesquite it's only a hop, skip, and a jump away. But if you don't want to go that far, St. George, Utah is a closer option to the north. You could spend the day shopping, eating, and seeing the beautiful scenery. And hey, if you're feeling adventurous, Southern California is half a day's drive. Theme park anyone? Oh...you're more into skiing. Well guess what? Brian Head ski resort is just a quick 45 minute drive north. Let's say you are more of a "home body". Well the nice thing about living here is everything is within walking distance. Walmart, Smiths, Bealls, Ace Hardware, pizza, a chocolate store, sushi, ice cream shops, 4 different buffets, and dozens of specialty and retail chaing stores are all centrally located. There's always something to do too. The Branson Out West event, Balloon Fest, car shows, the Remax Long Drive Golf shoot, chili cookoffs, parades, wine and beer fests, and weekly concerts and entertainment at the nearby casinos. I guess what we're trying to say is that when you live in such a cool place like Mesquite, there is no end to the possibilities of things to do, see, or experience. So whether you are looking at nearby St. George during the week, or a fun getaway to Vegas or California on the weekend, Mesquite Nevada is the perfect place to live. Mesquite is more than just a great place to visit. It also happens to be a great place to live. Spring comes 2 months earlier than most places in the country, the sunsets and thunderstorms are amazing, and there is no shortage of fun things to do.